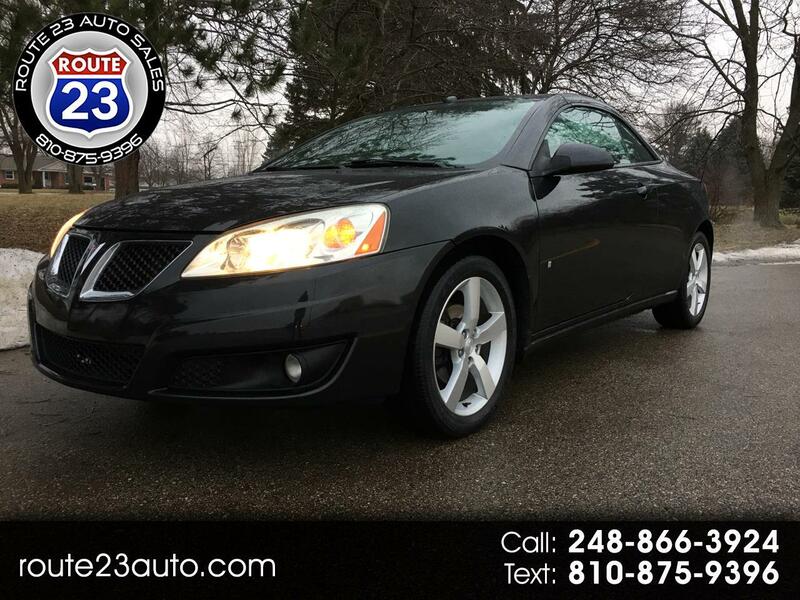 This is a gorgeous 2009 Pontiac G6 GT Convertible! This G6 runs and drives great! Its in excellent condition inside and oout. The exterior is black in color and shines like new! Very clean body no dents, dings, or rust! The interior is immaculate with black cloth seats! It has the 3.5L V6 engine in it with an automatic transmission. The engine starts quickly and runs quietly! The transmission shifts smoothly. Only 125,000 easy miles on this car! It has been cared for and maintained well. It is serviced, safety inspected and ready to go.